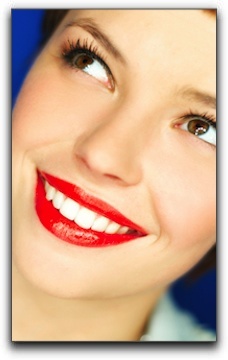 It’s easy to see why San Diego smile makeover patients and cosmetic dentists love porcelain veneers. They correct a multitude of cosmetic flaws and deliver stunning results for my San Diego area patients. If you are considering beautifying your smile with porcelain veneers, you want a trusted dentist with extensive experience performing this treatment. The porcelain veneer procedure is more complicated than many cosmetic dental patients realize. While preparing a tooth for a veneer is less invasive than preparing a tooth for a crown, it is not a reversible procedure. A microscopically small amount of enamel must be removed to make room for the veneer. Thus, the tooth can never be restored to its original condition. When performing the multi-step veneer procedure, the dentist must consider the surrounding teeth, the patient’s bite, the gums, the health of the affected teeth, and the patient’s goals and expectations. Most smiles contain varying shades of tooth enamel – sometimes a considerable range – further complicating the color selection process. The dentist must also work closely with the dental lab technician who fabricates the veneers. The lab technician’s skill level and quality of materials is just as critical as the expertise of the cosmetic dentist. Veneers are usually placed on the most visible teeth – center stage, so to speak. They are on display every time the patient opens their mouth. This is definitely a procedure you want to get right the first time!